Well cared for and ready to go! Owner pride shows through on this one!! 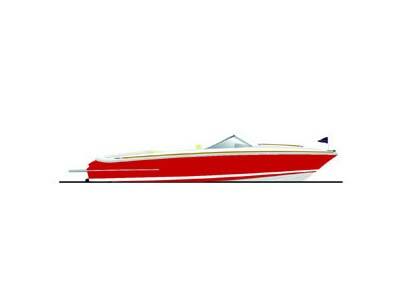 Stock #018052 A big beam family cruiser. Generator and A/C. 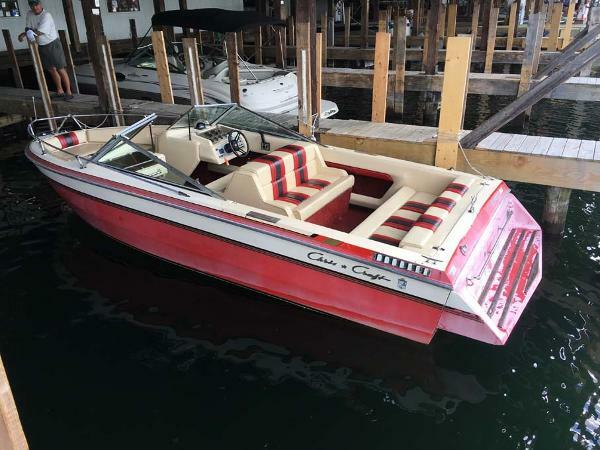 Vacation home on the water that will do 40mph+ If you are in the market for an express cruiser, look no further than this 1996 Chris-Craft 33 Crowne, just reduced to $20,000 (offers encouraged). 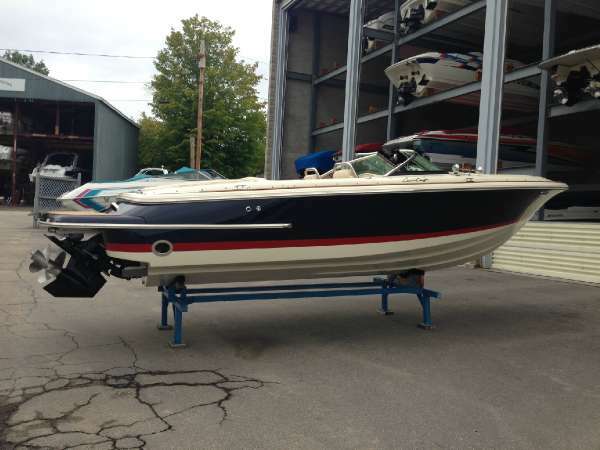 This vessel is located in Belmont, New Hampshire and is in good condition. 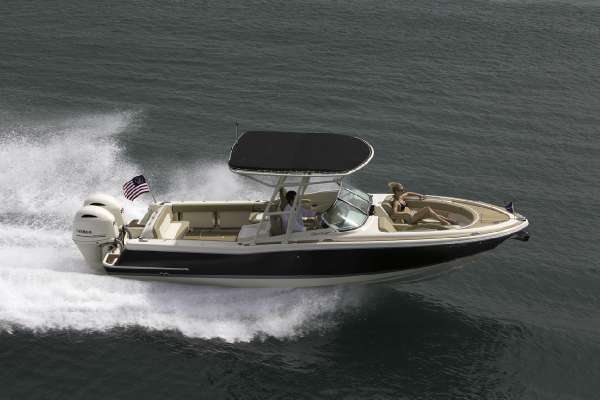 She is also equipped with twin Volvo Penta engines that have 630 hours. 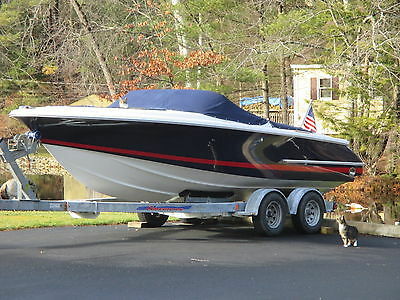 2000 Chris-Craft 245 Cuddy very clean fresh water boat! must see! 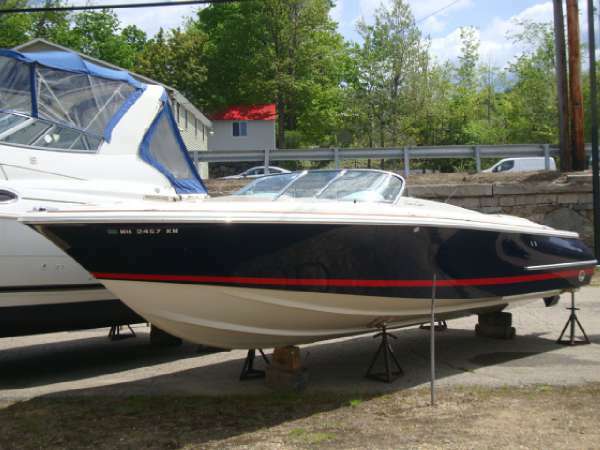 1999 Chris-Craft Sun Deck, This is a freshwater boat with only 270 hours! 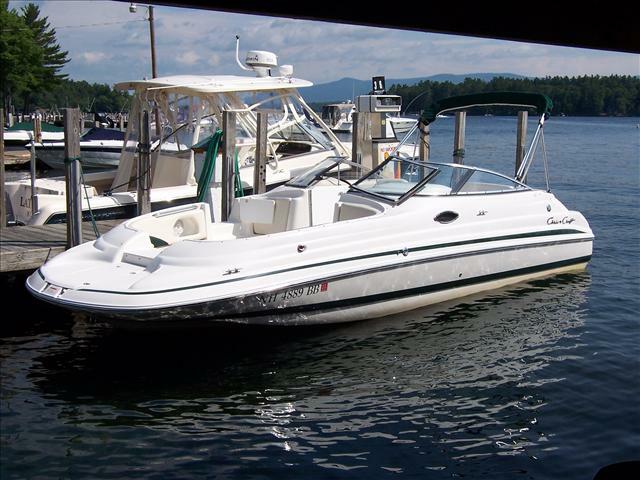 Powered with a Volvo Penta 5.7 GSi, dual prop (280hp), stereo, snap-out carpet, porta-potti, bow and cockpit cover, bimini top, in floor ski locker. 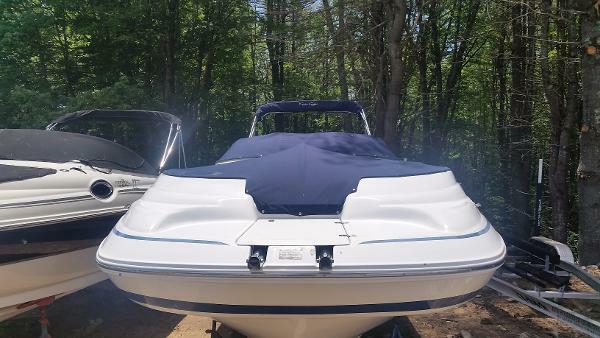 1985 Chris Craft 210BR Ski Jack This is a very clean, very nice 1985 Chris Craft 210BR Ski Jack. Everything works, runs and shifts great always dealer stored and maintained from day 1. 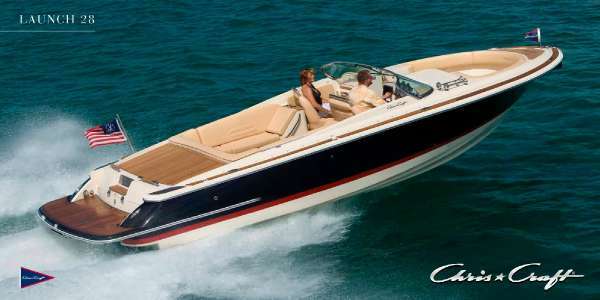 It has a MerCruiser 5.7L 260hp engine with 845 hours. Oil changed every year, complete tune up in 2016 and a new prop. 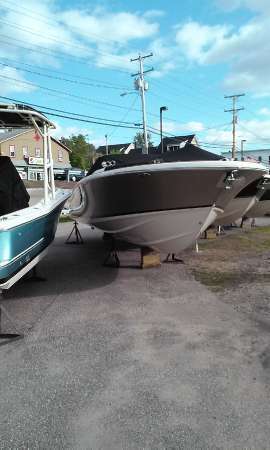 It also has new cockpit and bow cover, comes with a compass and a bimini top, no trailer. This is a great deal! 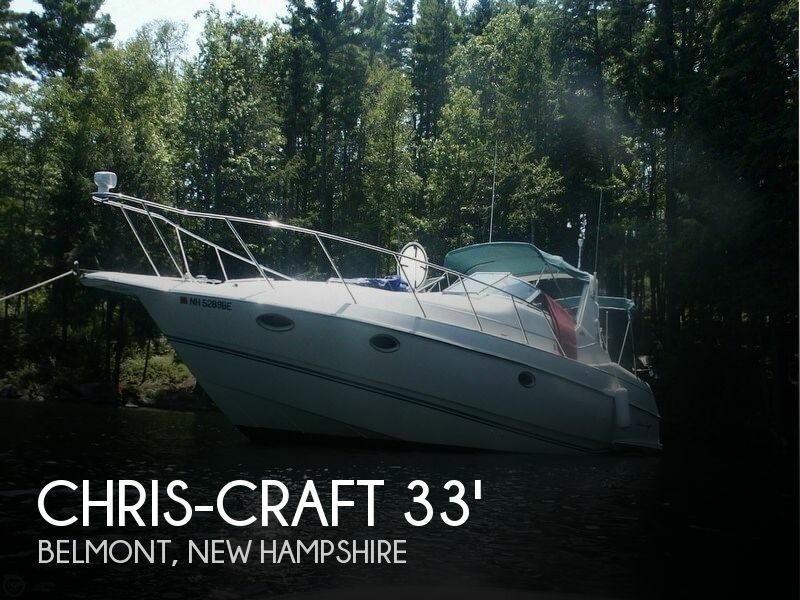 2001 Chris-Craft 262 Great boat for the whole family. Water ski or fish you are all set. 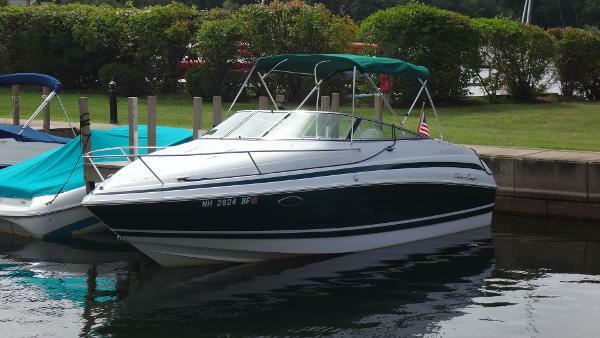 Has a bathroom on board and plenty of storage. One of the most popular layouts for a 26 foot boat. Fresh water one owner. 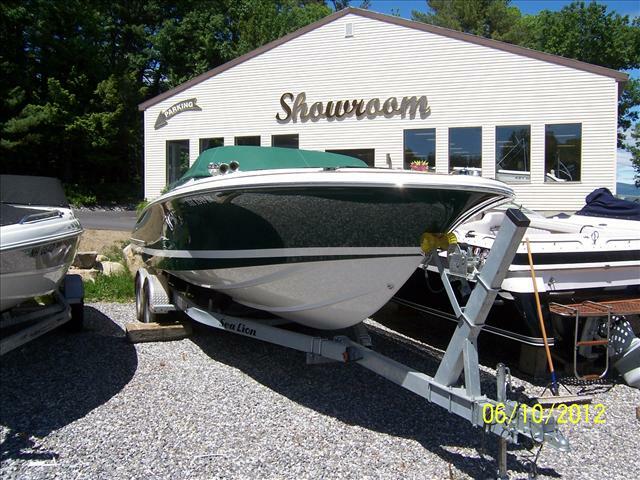 2005 Chris-Craft 25, Fresh water boat with 650 hours. 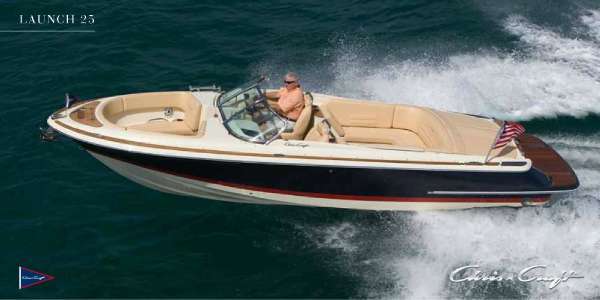 Powered with a Volvo Penta 5.7, dual prop. 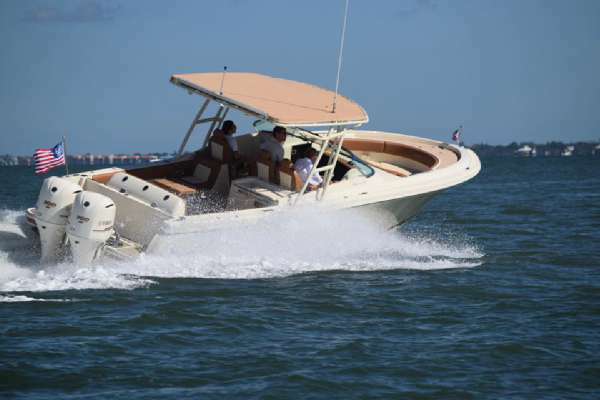 Cockpit cover, bow cover,bimini top, dual batteries w/ switch, center walk-thru, teak in-floor, depth finder, gps, stereo. Trailer is a 2013 Sea Lion, dual axle galvanized bunk.